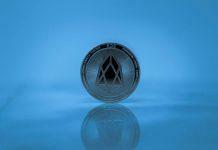 The EOS block producers, who run the blockchain network, created a new user agreement governing the EOS cryptocurrency on Friday. Anyone who uses the platform is required to adhere to its conditions. Yet the new agreement is technically illegal, at least according to the blockchain’s now invalidated constitution, which stated that it could only be changed by a vote with 15 percent turnout. The vote to replace it had only a 1.74 percent turnout but, although it failed to meet constitutional conditions, the block producers decided to make the changes anyway . But if the first constitution could be so willingly disregarded, the new one is—potentially—just as toothless. EOS block producers forced the user agreement through after months of debate in Telegram channels and online. 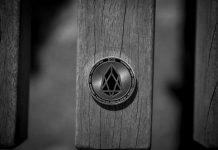 It was first proposed by block producer “EOS New York” in February and marks a departure from many of the ethical requirements in the previous constitution, replacing them with more explanation about how the EOS blockchain platform works. The user agreement is thus less wide reaching than the old constitution as it doesn’t include external ethical obligations, such as bans on perjury, vote buying and violence. Before it said that you own your EOS coins even if someone else steals your private keys—but this has gone too. Instead, the agreement delights in informing users that EOS code is law—to use a much repeated phrase—without exception. 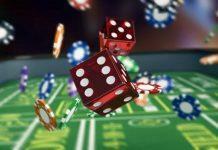 For example, it informs users that, if they lose their private key, they are not entitled to their coins. This, on the surface, makes things more straightforward and removes the pseudo-legal constraints in the old constitution that were criticized for being unenforceable. But, even though the new one is fairly limited, it remains to be seen if it carries any power whatsoever, as the last constitution was so readily set aside by the block producers. It also appears that they have the final say over the network, regardless of the supposed voting-based governance system. And this means just 21 entities control the entire network. In defence of this cartel-like behavior, block producer “EOS Canada” justified the move by arguing that block producers are voted in by the community. “This mentality completely ignores the fact that it is the token holder community who gets to decide which Block Producers make up those 21 Block Producers at any given moment,” EOS Canada wrote, in a blog post. However political affiliation is not a feature of voting in block producers. Their purpose is to keep the network running and enforce decisions made through the governance system, not to bypass said system and enforce their own rules. 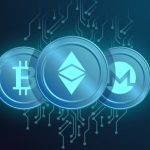 In the new user agreement, the absence of the condition for block producers not to collude is of concern. More worrying is what they might choose to do next.